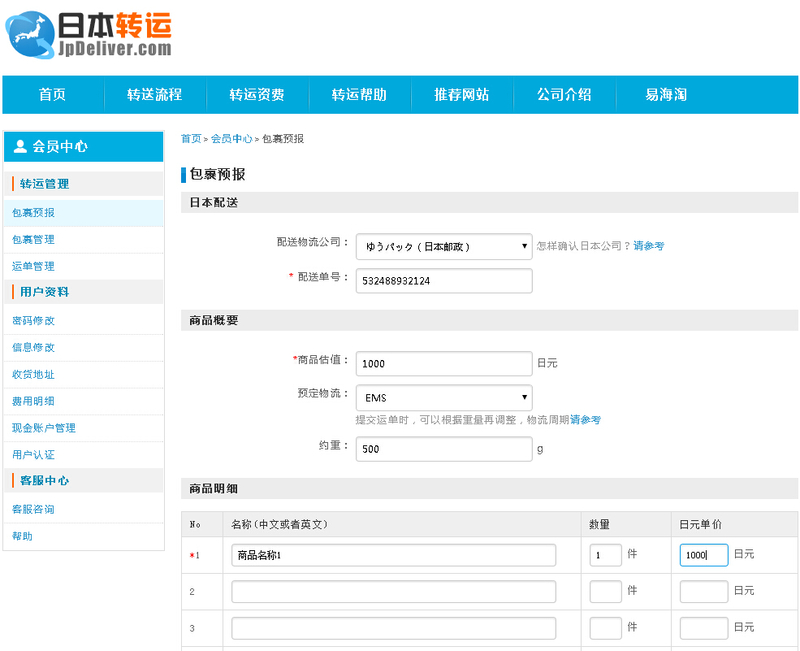 To improve user experience and shipping speed, JpDeliver has optimized the process to warehouse the package and submit the shipping order, so that you can submit the shipping order and set the automatic payment option in advance when you notify us of the package after getting the Japan domestic shipping order from the Japanese seller who ships the goods. After JpDeliver receives the package, package warehousing and shipping order processing will be carried out automatically. The process can be simplified as just submitting once during package notification to complete the delivery process. ① After the Japanese seller sends the goods, you get the Japanese logistics information and make package forecasting. ② After package forecasting is completed, the information of the package that has been forecast will be shown in “package management”. If a single package is submitted, you can directly click on the “submit” button at the end of the package to submit the waybill. If many packages are submitted after consolidation, the consolidated waybill will be submitted after the packages have been forecast or warehoused. 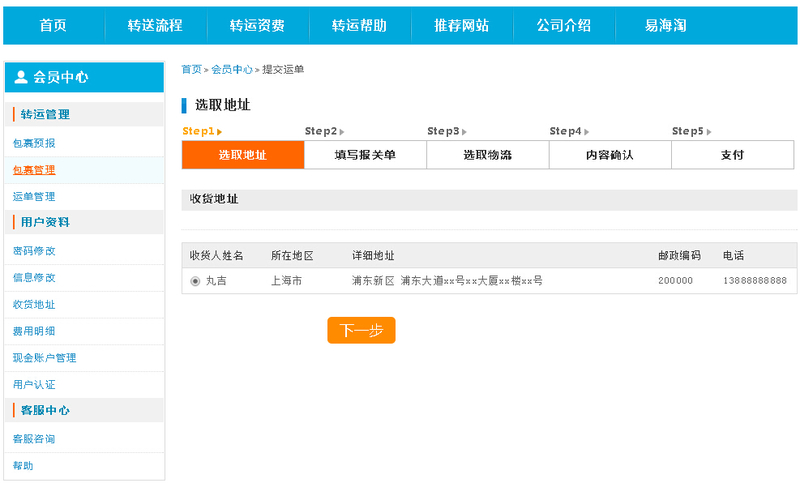 ③ After submitting the shipping order, select the recipient address. ④ Change or fill in the declaration form. 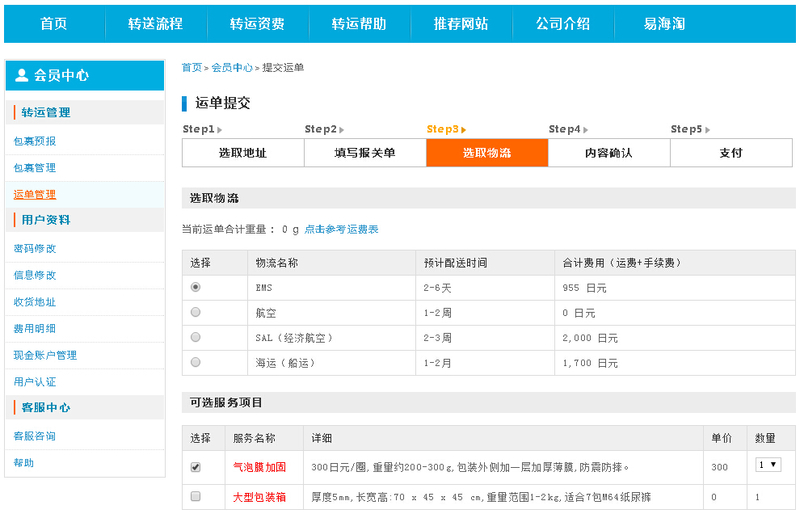 ⑤ Select the logistics way and optional service, handling of fragile articles, etc. 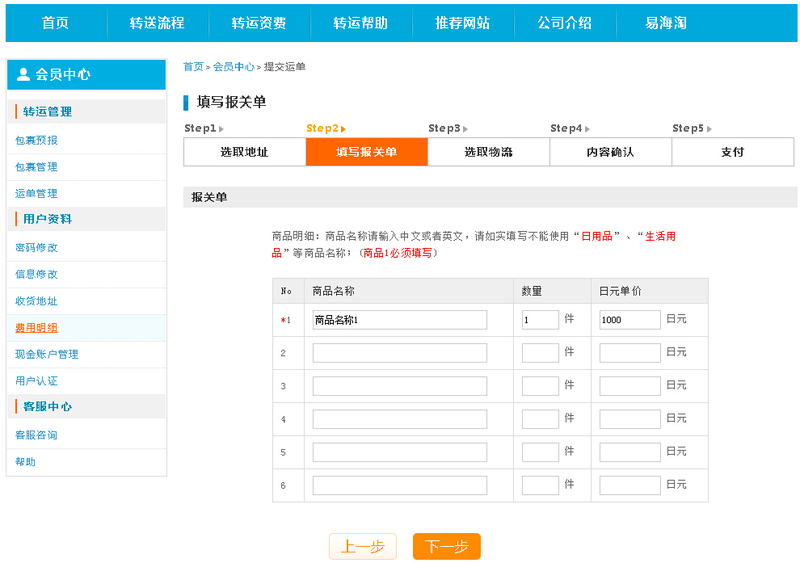 ⑥ Confirm waybill information and decide whether to select automatic deduction according to the needs. 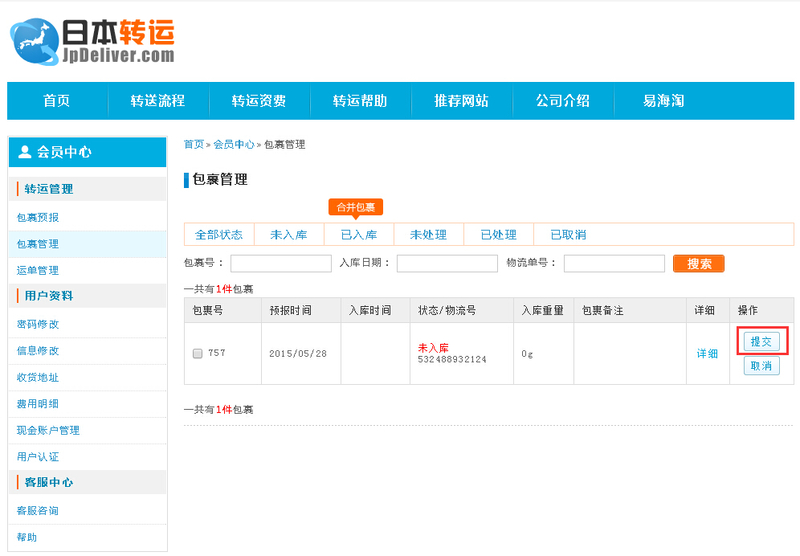 ⑦ After the shipping order has been successfully submitted, its status will show “to-be-warehoused”. If automatic payment is selected and the balance is sufficient, the shipping order will be processed automatically after the package is warehoused. If automatic payment is not selected or the balance is insufficient, the shipping order will be paid after you receive a notice for payment just like the process for ordinary shipping orders. 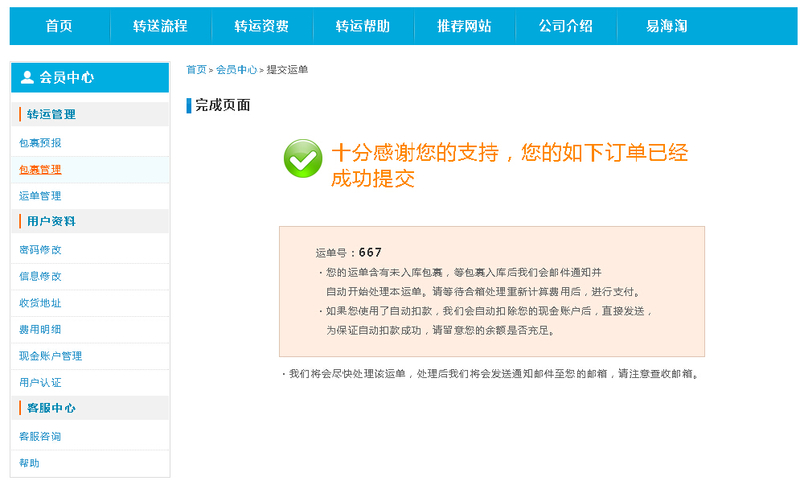 ① The shipping orders of packages without shipping tracking numbers cannot be submitted when the packages are notified. Please submit the shipping orders after the packages have been warehoused. 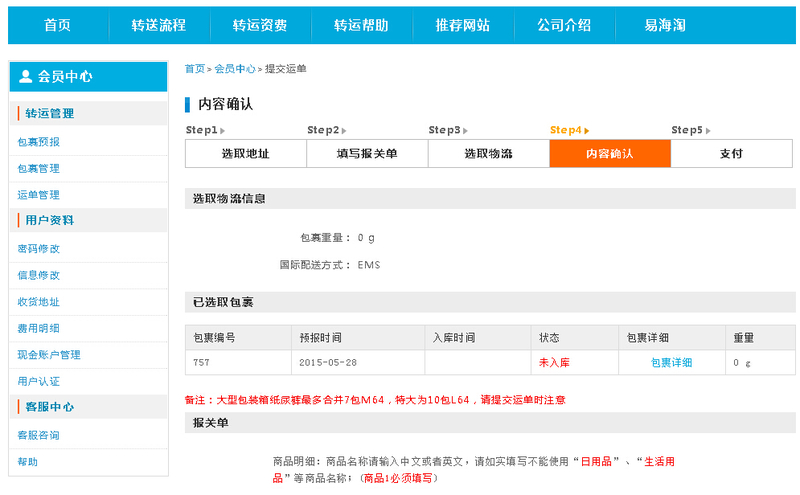 ② When the shipping order for multiple combined packages is submitted, if the shipping order contains any package that has not been warehoused, the processing will not continue until that package has been warehoused. ③ During package notification, please make sure that the shipping tracking No. is correct before submitting the shipping order, so as to avoid the occurrence that the shipping order submitted when the package is notified cannot be processed due to an incorrect shipping tracking No. ④ The function does not have any influence on the original process of warehousing and shipping order submission, which you can still use. ⑤ To avoid unsuccessful automatic payment, please estimate the package weight during package notification and then recharge your account with sufficient money.